thank you sooooooo much for all the wonderful comments, favourites and watches!!! I have read them all and am going to try and answer as many queries as possible but there seems to be so many now I am having problems. So, I just wanted to say thank you for all your kind words, I really appreciate them! I am flabbergasted to get a Daily Deviation! and very grateful! If this new description doesn't help, please feel free to send me a note, and I will do my best to answer your queries. It is 2 x 12" square 1 1/2" deep sponge cakes cut into ever decreasing rectangles, stacked, carved to the shape, covered with chocolate buttercream and covered with Renshaws chocolate sugarpaste to represent a Louis Vuitton hand bag. To get the leathery look, The chocolate sugarpaste can be pulled around a little to get the creases you get in a back, plus I pleated it at the side bases, then you can polish it with a ball of the sugarpaste to get the sheen. The details are painted on by hand (I got a picture off my friend and copied that) using Squires Kitchen edible gold lustre dust mixed with bronze lustre dust and diluted with isopropyl alcohol (or you can use gin or vodka). The handles are made from Regalice sugarpaste with Gum Tragacanth added. I used a patchwork wheel to get the stitches effects and just modelled the rest by hand. The badges were also pieces of regalice paste cut to shape and I scribed the logo in with a needle. The zip and padlock were just hand modelled. They were then painted with the same colours as the details. I bet it was a nightmare to cut, cos it was about a foot tall and just over a foot and a half long, but my friend wanted to have good impact rather than having a small cake. Thank you so much for all your wonderful comments, I have thoroughly enjoyed reading them!!!! Wow this thing is amazing! I thought it was a bag in the thumbnail. We are professional bags manufactory, professional in helping designers make their design into bags. Contact with us at cara@thehonestbag.com ,to make your design into many kinds of bags. wow, the cake is so realistic and well done. I've never seen anything like it. This is the most amazing cake I have ever seen. Looks too good to cut. wooow si no dices... no pensaría que es un pastel. it looks like a bag?! omg, is this really a cake? WOW.you are god,I swear,you are GOD!! Wow that is amazing! I'm going to ask my mum to make me a cake like th for my birthday. O.O oh - my - gosh!!!!! This is really awesome!!!!! when i first saw it i really thought it was a hand bag. You are a true artist. It´s really incredible!!!!!! I'm looking for a bag to take to school for my books, and I saw this. Me: Hey mum, look at this bag! Mum: Oh that does look nice! Me: Oh wait... HOLY CHICKENS, IT'S A CAKE! Mum: Well that girl's TALENTED, I have to say! good job!!! i thought it was the real bag! wow!! that realy looks like a real bag ! I feel hungry now *~~~~hihi~~~i want to eat it! omg i coudnt believe it ! Wow! I could have sworn it looked like a real Bag from the Thumbnail! If I had just seen this and someone told me it was a cake and to grab a slice to eat it, I wouldn't believe them and say something like, "I'm not going to eat a bag!" Amazing work! t-that's a cake?! I almost thought it was the real thing! I saw this and was like "Dude, why would anyone take a picture of a PURSE!" But then I saw cake and looked at it AGIAN and was like "No way..." After 5 mins of investigating...and rereading...and reading it AGIAN...I think I see it...extremely hard to believe! Oh wow! I can't believe that's a cake. A M A Z I N G!! This is a cake?!! Holy moly! Verrrrrrrrrry nice! 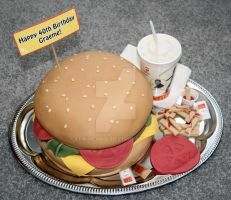 if it was my bday cake i wouldn't eat it... it would be a shake to cut it in pieces and eat it! ARE YOU SURE THAT'S A CAKE?! It's amazing! wow i thought this was real, i was scrolling through and im like why is there a picture of a bag in the culinary section? hahaha very nice job! absolutely incredible skill you have! and i am so glad you got the recognition you deserve despite not going to culinary school, because this work showcases incredible passion and originality, something that can't be taught. 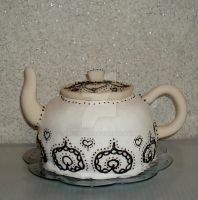 beautiful cake, i can't imagine the patience required to produce one of these but i love it! I cant beieve that's a cake!